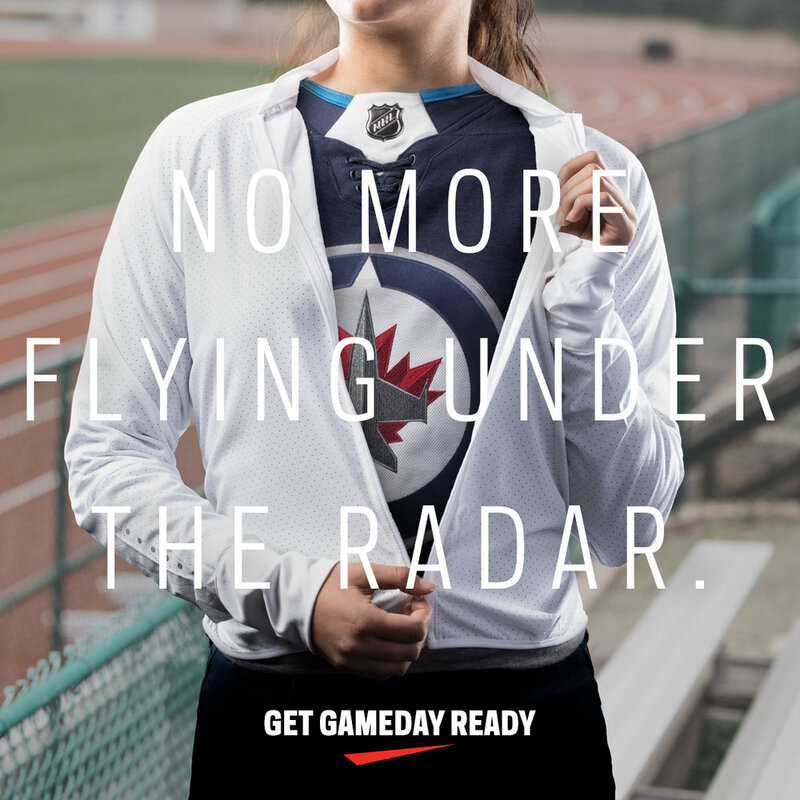 "Get gameday ready" was a social media campaign aimed to build additional excitement for the upcoming 2017-18 NHL season and have a share of voice among Canadian hockey fans. The secondary goal was to drive customers towards the new adidas official NHL licensed merchandise. Before each team's opening game, we posted an image with a positive message to rally fans. 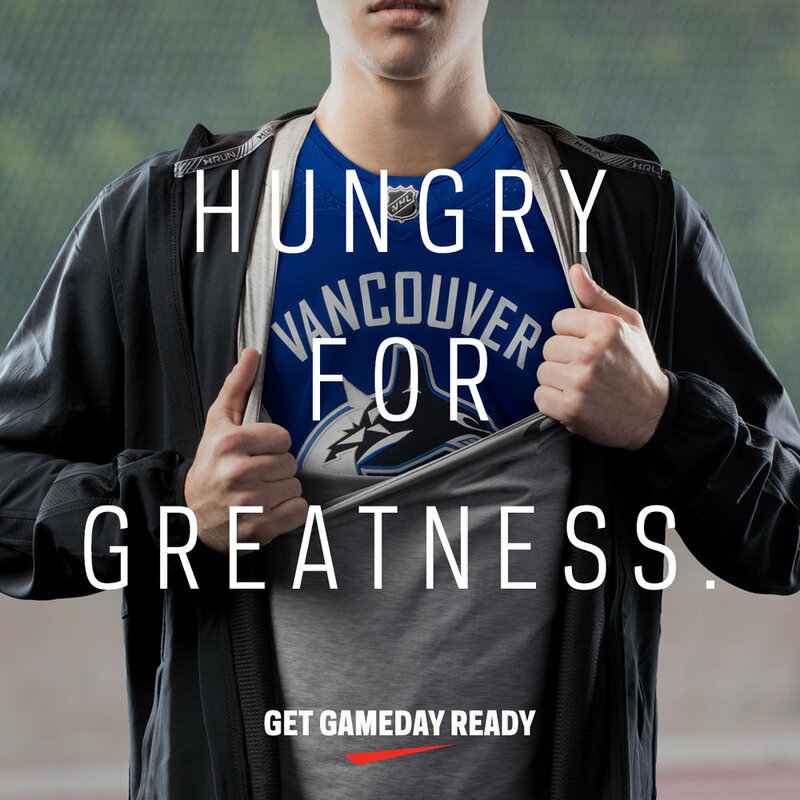 The idea was to reveal that each athlete in the photo was "gameday ready" and had their team's jersey on underneath. Though the goal was to be a part of the conversation around the start of the NHL season, the new Adidas jerseys were featured in the creative, along with all other products being available at SportChek stores. Canadian NHL team match-ups were featured in creative that showcased the new Adidas jerseys. 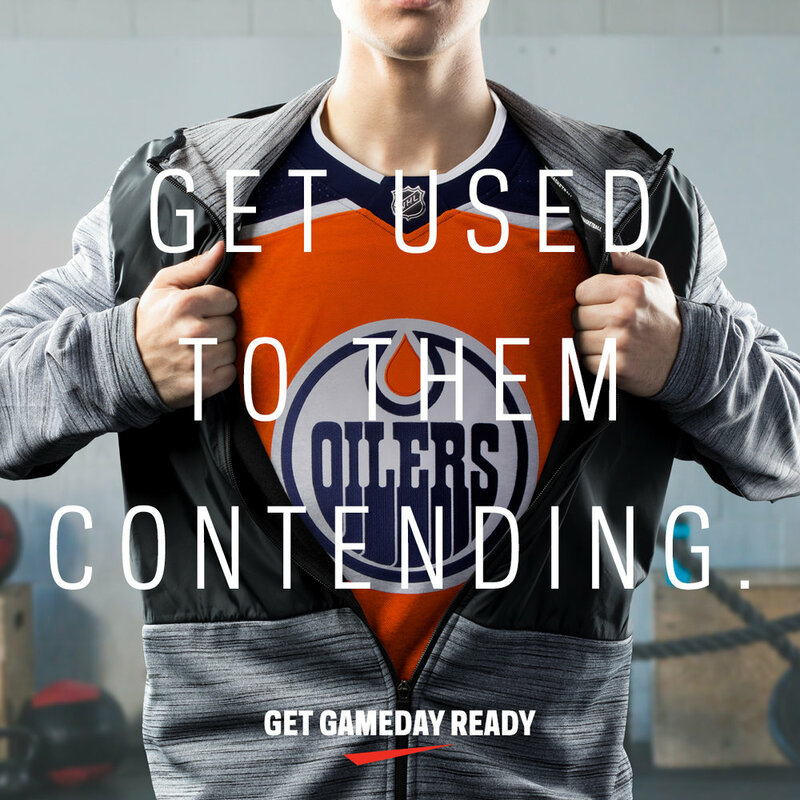 The new Adidas NHL jerseys were featured in a product video that was aired on SportsNet, displayed in-store, online, and on the "power ring" in arenas of our the Canadian NHL teams during stoppages of play.